Thomas S. Helling MD is Professor of Surgery and Chief, Division of General Surgery of the University of Mississippi Medical Center. Dr. Helling is originally from Kansas City, MO. He completed his residency at the University of Missouri - Kansas City School of Medicine and also completed a transplant fellowship at University of Colorado in Denver. He has held several surgical positions in Kansas, Pennsylvania and Missouri. At the University of Missouri – Kansas City, Dr. Helling was Associate Director of the Surgical Research Laboratory. Dr. Helling has a long interest in and commitment to surgical education, serving as surgery program director at the University of Missouri – Kansas City, Conemaugh Memorial Medical Center, and, currently, at the University of Mississippi Medical Center. He is a member of the Association of Program Directors in Surgery. His research interests were mechanisms of liver failure following subtotal hepatectomy. After leaving the University of Missouri – Kansas City Dr. Helling was the Chairman of the Department of Surgery at Conemaugh Memorial Medical Center in Johnstown, PA where he was also adjunct Professor of Surgery at Temple University. Dr. Helling’s clinical focus is and has been hepato-pancreato-biliary surgery and has established international connections with Hanoi, Vietnam and the Centre Hepatobilare, Hopital Paul Brousse, Paris, France. Dr. Helling is currently focusing on clinical trials for neoadjuvant treatment of pancreatic cancer and exploring mechanisms involved in the initiation and identification of chronic pancreatitis and dysplastic pancreatic ductal lesions. Dr. Draganov is Professor of Medicine and Director of Endoscopy at the University of Florida, College of Medicine in Gainesville, Florida, USA. Dr. Draganov clinical interest is in advanced therapeutic endoscopy including endoscopic ultrasound (EUS), endoscopic retrograde cholangiopancreatography (ERCP), cholangioscopy, endoscopic mucosal resection (EMR) and deep small bowel enteroscopy. His research interests are in the areas of outcomes research and new technology evaluation. Dr. Jiazhi Sun has been trained in the field of basic medical science and molecular biology and received M.D. degree from Peking University in 1986. 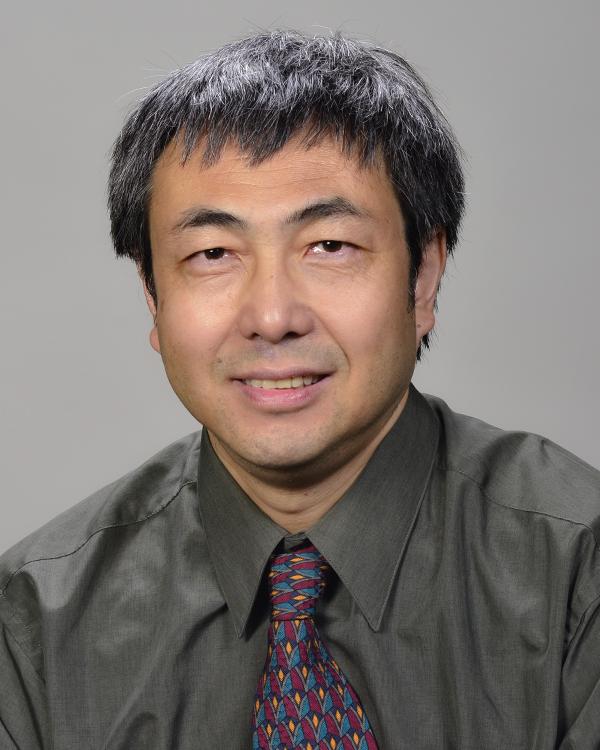 After completing his residency and fellowship training at Peking University in 1990 and graduate studies on targeting Q-binding protein into yeast mitochondria at West Virginia University in 1994, he received two-terms postdoc training at the University of Pittsburgh and H. Lee Moffitt Cancer Center in the field of Pharmacology, Biochemistry and Drug Discovery from 1994 to 2003. Dr. Jiazhi Sun focuses on Ras and ER signaling study, HDL-Receptor RNA alternative processing, and K-Ras, GPCR, BH3 protein and VDR/ER drug discovery targeting by utilizing Target-Guided Synthesis (TGS) approach and conventional intervention. Dr. Sun has more than 18-year professional experience in academic field including Drug Discovery, Signal Transduction, Apoptosis, Cancer Biology and Cardiovascular field, also leading collaborative Institutional and Pharmaceutical Industry rational design/targeted-therapeutic approach and development of FTI, GGTI and Kinase inhibitors (tyrosine, serine/threonine and sphingosine) and nuclear hormone receptor mimics as well as BH3-mimics as drug candidates and “Chemical-Genetics” tool/model. Since 1994, he has been involved in multiple programs yielding two U.S. patents, more than 30 peer-reviewed papers, book chapter, numerous awards including AFLAC Scholar in Cancer Research Award sponsored by American Association of Cancer Research and more than 30 scientific professional presentations.